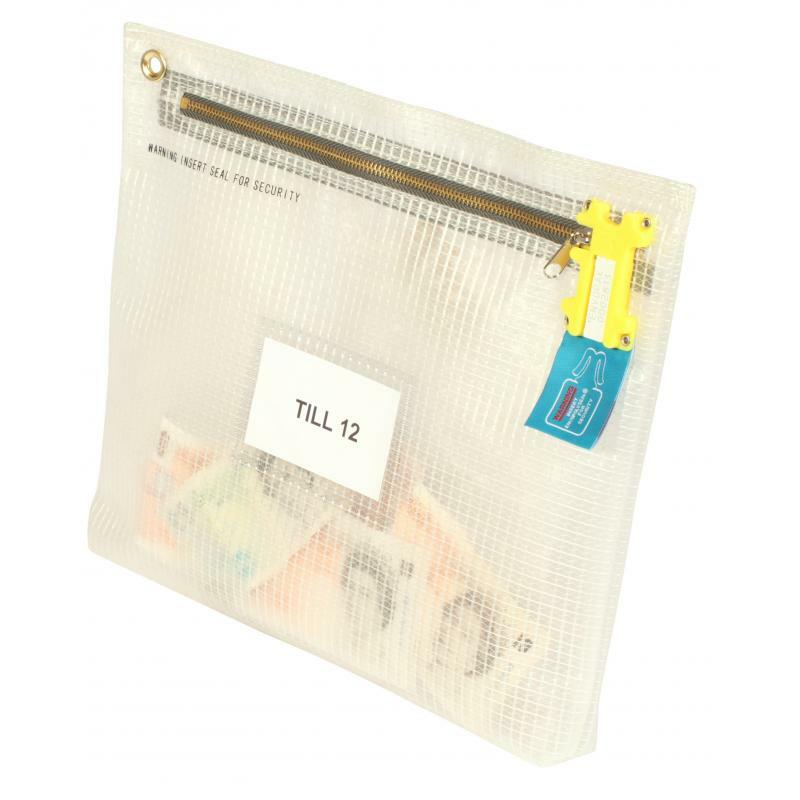 The tamper proof money bag is a secure way to transport cash. The bag can be used with PS2 or PS4 polyseals which come numbered. This creates an audit trail and deters unauthorised access to the bag as the seal cannot be replaced with an identical one. See how the seals can be used in the video below. Made using heavy duty 550 denier PVC coated polyester this bag is designed to withstand up to 2000 uses. This makes the bag an environmentally friendly option compared to single-use bags. The bag also features a useful brass eyelet so it can be stored hung up. The plastic window on the outside is an area where information can be displayed such as till number or department name. The cash bag is available in blue, red and clear – please let us know your colour choice when ordering.